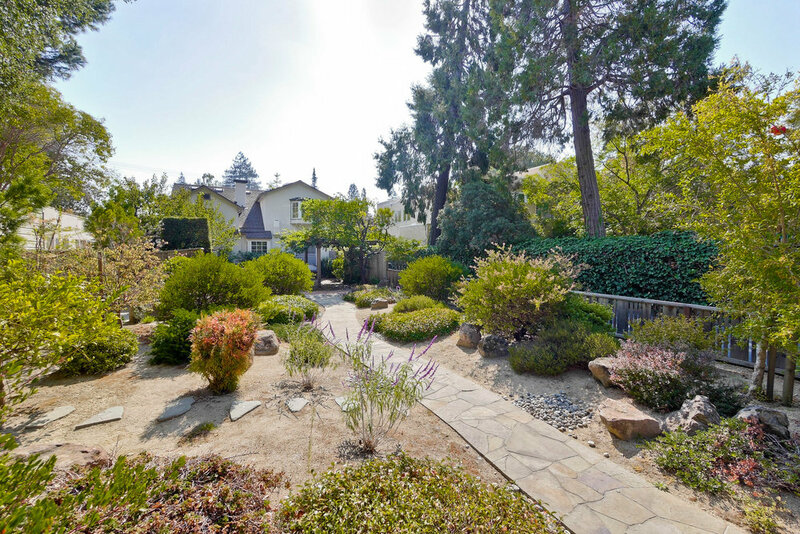 Located in the prestigious neighborhood of Old Palo Alto, this lovely home features a deep lot size, gated driveway, and lush front and back landscaping. Centrally located in the heart of Palo Alto and is just minutes from downtown Palo Alto, Town and Country Village, Rinconada Park and Pools, and Stanford University and Shopping Center. Lovely and bright living room flows into a formal dining room with access to the kitchen and French doors out the backyard patio, perfect for summer dining alfresco. 3 upstairs bedrooms include the master suite with private bathroom. The lower level features 2 additional rooms and shared full bathroom, perfect for a guest room, office, workshop. Top school attendance at Walter Hays Elementary, Jordan Middle, and Palo Alto High schools (buyer to verify).